Sometime last year, I got one of the electric wine opener from Ozeri. It had the digital battery meter that is displayed on an LCD screen where you can gauge whether to charge it or not. We have used it whenever hubby and I buy a bottle of wine. 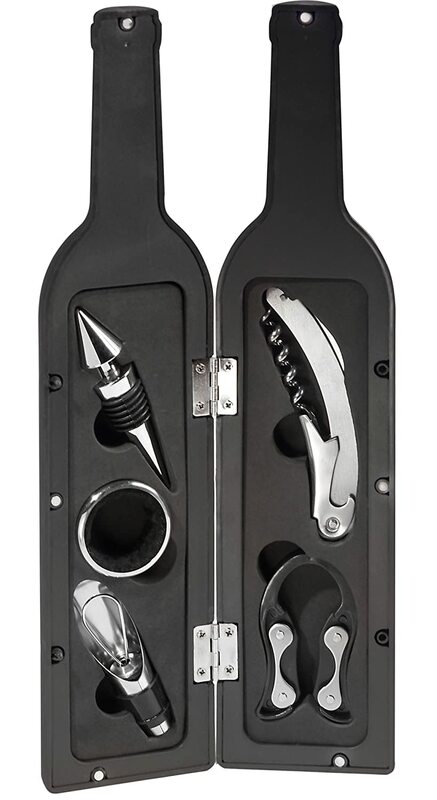 So when I was offered another chance to review another wine opener, I wanted this this wine bottle with corkscrew and accessory set. Unfortunately, they have sent me the wrong one which is a bit disappointing but it's okay. I have received this electric wine opener with pourer and stopper instead which is fine. It includes t a foil cutter to remove the seal of most wine bottles. Just a simple push down button removes the cork which is a lot better than the old one that I have. It has a contoured ergonomic grip, an elegant charging base, LED charging light indicator, and a bonus pourer and stopper. This would make a great gift for your loved ones who love to drink wine. You can buy this in Amazon though this link. If you love entertaining at home, this is a great addition in your kitchen. It makes for an elegant entertaining that your guest would surely notice. Hubby and I doesn't always drink wine, we only buy a bottle whenever there's a special occasion that we need to celebrate. He loves the effect of wine on me because I go on a laughing streak. For some reason, wine makes me laugh and I turn red every time. I don't even drink a big amount, just a glass makes me tipsy lol. What an awesome gift for wine lovers! I have the occasional glass and I still don't know my wines very well. It would be cool to start learning more about wine pairing. 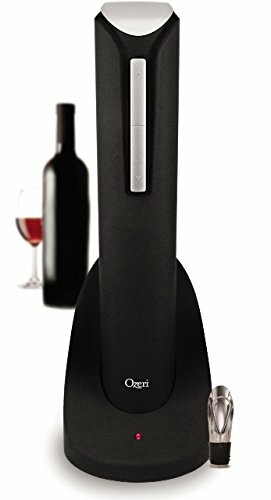 I've been wanting an Ozeri wine opener for a while now and this one looks great! I bet it makes opening the wine as much fun as drinking it! I have this wine opener! It's so easy and I am so glad that I purchased it. This product is so much easier than struggling with a manual opener. I don't remember seeing an electric opener before. This is pretty cool! I remember how I cried when I opened my first bottle of wine It was crazy. I need this in my life. I like a having a nice glass of win with friends and this makes it a breeze to open up! That is so cool! It looks so easy to use. This would make a great gift to friends. Like the biggest winonof all times! I need this like right now!! So looking into getting one of these! My son wants this so I think I will get it for him for Christmas. I love the brand. An electronic wine opener would make a great gift. It can come in handy on special occasions. Electric Wine opener is a must have in my household. For the life of me, I can't open the bottle without one. Great review! I know some people that would love this. We may have to consider this as a wonderful holiday gift in the coming months - what a great idea! It looks especially good for folks who have arthritis or problems with grip. Thank you for sharing! I always look at electronic wine openers whenever I go itnto Bed bath and Beyond but I can't justify giving up more counter space. It'd make a great gift though. Wow, I've never used an electronic wine opener before. Looks super convenient! I'd love to have one. Ummm. Sign me up for one of these! What an innovative product! It definitely looks like it would be extremely convenient. I could see myself using this!